Sunday, Monday & Tuesday before the SNAG conference. Create clasps that are safe, secure and truly one-of-a-kind. Learn how to make the key and box clasp to unify your art jewelry. Make a necklace from one of your clasps with stainless steel wire by fabricating terminals and soldering sterling to stainless steel cable. Come up with unique solutions to complete your designs. 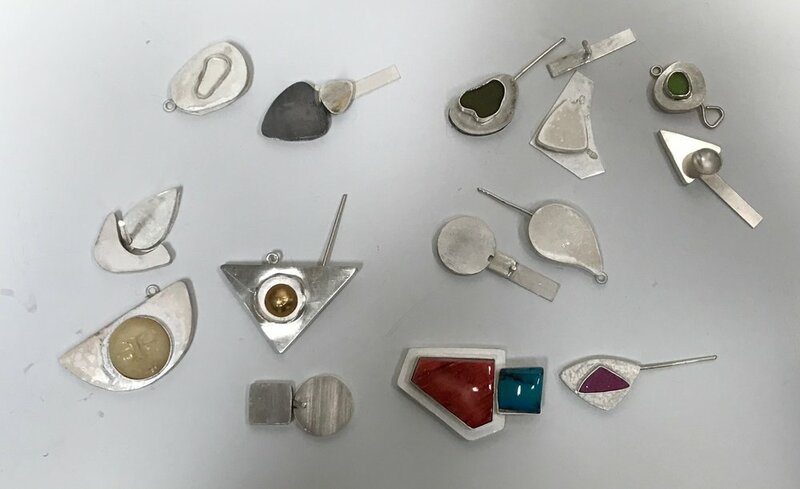 Students are expected to go with their own design inclinations and to explore new ideas in creating cohesive finished jewelry. We'll discuss a variety of clasps and many variations including ideas for customizing simple clasps to fit your designs. Students are welcome to bring in projects in need of a clasp and we'll trouble shoot the situation. This class is meant to get you thinking about connections, functional and practical aspects of use. Step-by-step handouts are supplied along with samples to play with. Basic fabrication, including soldering, required. Take a workshop at Alison Antelman's private studio in the Historic Sawtooth Building. The studio is a light filled space with 2 soldering stations, rolling mill and basic shop tools. Students get their own table space and bench pin and are expected to bring their own hand tools. Kit included (students bring their own sterling sheet) materials list provided. Most materials are provided. Students bring their own sterling sheet. It is not necessary to set a stone, you are welcome to bring stone and bezel if you'd like. A materials list is provided. Cancellation Policy: Full Refund up to 14 days prior to class start date, transaction fees may apply. No Refunds after that date unless the spot is filled. Create clasps that are safe, secure and truly one-of-a-kind. Come up with unique solutions to complete your designs. Learn and make both the key and box clasp. 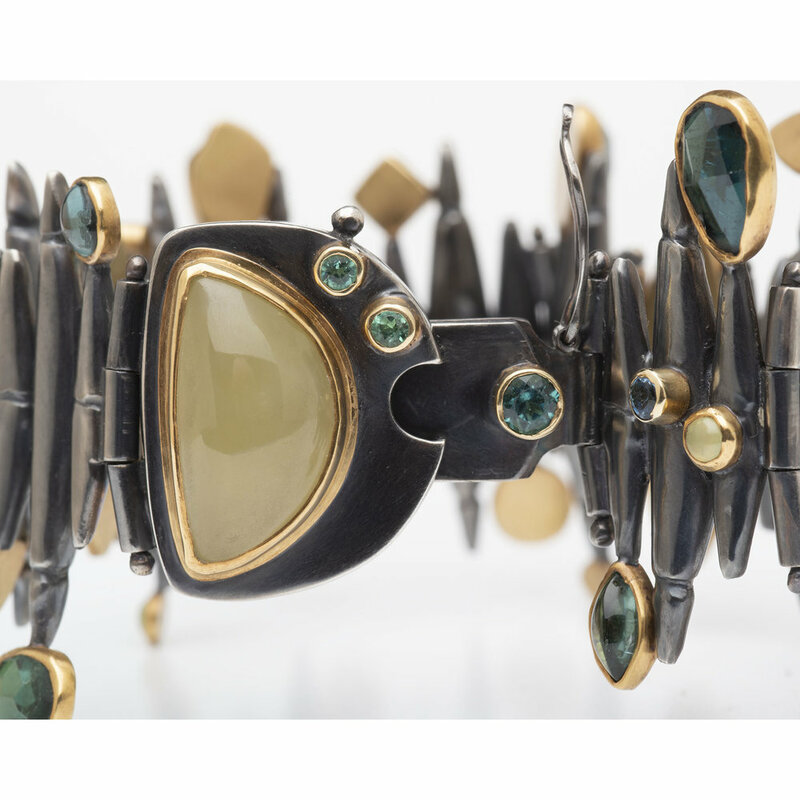 We will discuss customizing terminals and findings to unify your art jewelry and explore a variety of solutions to link your custom-made clasp to the rest of your piece. 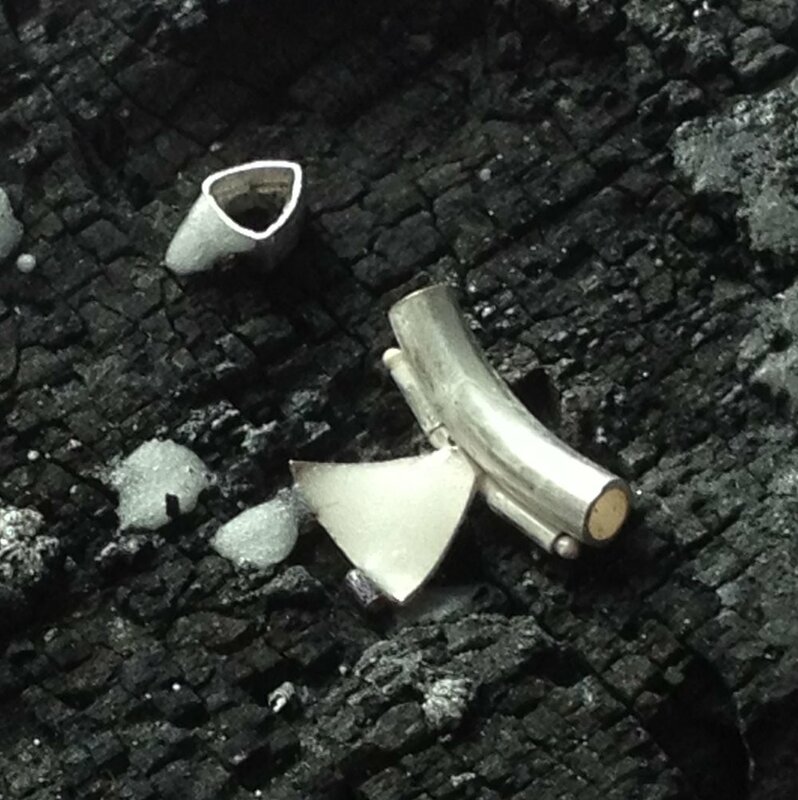 Students are expected to go with their own design style in order to explore new ideas in finishing their jewelry. Step-by-step handouts are provided for both clasps. Basic fabrication and soldering, required. Tubing definition: a hollow form open at both ends, not necessarily round. Explore the myriad ways to make and use tubing. 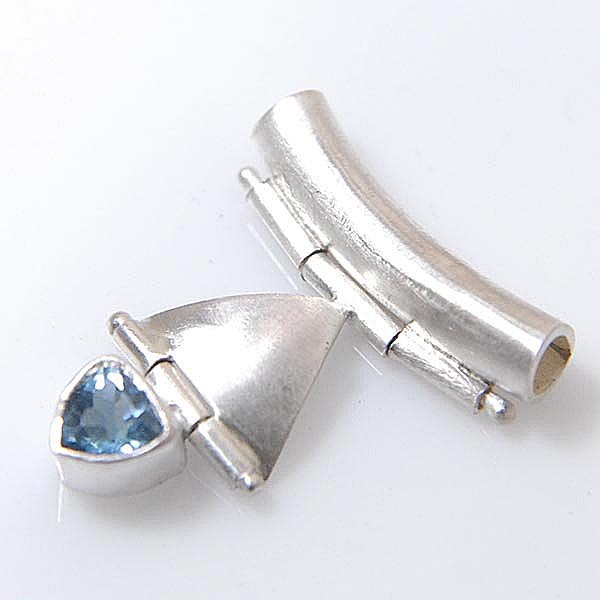 Join, bend, connect, latch, hang, set faceted trillion stones and hinge using tubing. Students will make a hinged pendant and set a trillion stone in a telescoped tube setting hanging from a bail made from bent tubing. A step-by-step handout with images and text is supplied. Basic fabrication and soldering required.